Search engines like Google enable potential new customers to find your business by looking over your website content for relevant keywords that indicate whether what you have to offer matches what a user is search for. When it comes to developing a successful SEO strategy, your job is to make sure the right keywords appear frequently enough on your site that they easily catch the attention of Google, Bing, and the rest of the most commonly used search engines. Of course, where the real art of a successful SEO strategy lies is in the identification of which keyword terms your business needs to focus on using. Understanding how to research and identify keywords is one of the most underrated parts of a SEO campaign. To better enable your business to find the keywords that will help to boost search traffic, here are a few tips to improve your keyword strategies. Let’s start by asking a basic question: what do you do? Are you a Portland boutique that specializes in selling dresses created by local designers? Are you a manufacturer that produces low-energy LED streetlights? 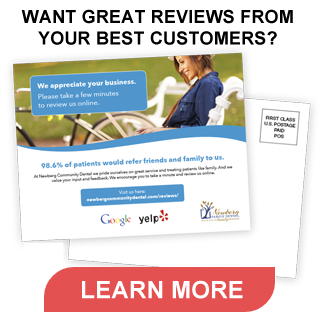 Are you a cosmetic dentist that services a small community? To determine which keywords most apply to your business and brand, you need to understand what types of keywords your potential customers are most likely to use when searching for your products or services. While certain keyword terms will be fairly easy for you to identify, others may not seem so obvious at first. That’s why it’s important to search for some of the most common terms in your particular niche. Tools like Google Adwords and Moz can make it easier for you to research and find high value keyword terms you may not have initially thought to use. These types of tools also allow you to see which terms enjoy the highest search rates and what draws the most traffic. Once you’ve identified the keyword terms most relevant to your niche, it’s time to make some hard decisions. Many small business owners tend to fixate on using one or two of the highest value keyword terms related to their business. However, that potentially ignores all of the other highly specific keyword terms that collectively draw just as much traffic but at a lower overall cost. For example, if you focused on the keyword phrase “designer dresses” as a boutique owner, you’re going to be fighting with every other major fashion retailer on the internet to rank highly for that phrase. That’s some serious competition. Conversely, if you focused on the keyword phrase “Portland designer dresses”, you significantly reduce the amount of competition you face for this primary keyword. Narrow that focus even more to “local Portland designer dresses” and suddenly you may just find yourself at the top of organic search rankings. Why try fighting over the same terms as the competition when you can carve your own niche? It’s easy in business to celebrate the failures of the competition while simultaneously failing to learn from their successes. Keeping an eye on the competition can help you to identify areas that you may have missed when developing your own keyword strategies. Your top rivals may have stumbled onto the use of a few keyword terms you failed to identify while doing your research that work well for attracting your target audience. Take the time to compare what terms or phrases your competition ranks highly for, but that your own brand does not. Tools like Ahrefs allow you to identify keywords that your competition ranks in the top 10 for but that your website doesn’t rank at all. Once you know where you to strengthen your keyword strategy, you can start closing the gap between you and the competition. This strategy can help ensure that you not only keep up with the competition, but also enables you start using terms you may have otherwise of missed if not brought to your attention. Keyword strategies should be fluid, constantly changing to match the search habits of your target audience. Since the keywords you use should never be set in stone, it’s important that you know what terms are working to drive business to your site and which need to go. While you could simply rely on conversion rate to determine the success of a particular keyword phrase, and that information does have value, the more important factor to consider is which keywords are helping to drive the most traffic to your site. Take the time to look at the individual value of each phrase. Understanding which keyword phrases are the most profitable is fairly straightforward. For example, if you’re running a pay-per-click ad featuring a specific keyword phrase, you can examine the cost of the ad versus the traffic it provides. An add that costs you $0.75 a click and delivers 150 visitors is far less effective than one that costs $0.60 and delivers 400 visitors. Additionally, you also need to determine visitor behavior when a certain keyword phrase brings them to your site. Some types of keywords may seem like a potential goldmine for their ability to attract users. But if upon closers inspection you find that everyone who that keyword brings to your site quickly clicks away, then you’re probably dealing with fool’s gold instead. Trending topics offer a great way for your business to jump to the head of the line when it comes to search engine rankings. Since trending topics get searched for more frequently, targeting keywords related to the hot topic of the moment can gain your website some much needed clicks. However, you need to make certain that whatever zeitgeist you’re seizing upon actually relates to your business. You can easily insert keyword phrases that relate to the hot topic of the moment, but if users arrive at your site only to find a passing mention of what they searched for they’re going to quickly click away. Even worse, your brand is going to start to suffer a lack of credibility if consumers find visits to your site to be misleading or misrepresentative of the actual content. Google Trends and Soolve are two tools you can use to stay on-top of topics about to become the next big thing. Utilizing the right SEO strategy for your website will enable your small business to keep up with the competition and continue to grow. Take your time researching different terms and phrases, understand the unique niche your business occupies, identify successful strategies being used by the competition, and have a metric in place that enables you to judge the true value of a particular keyword. By combining these strategies together, and with the right amount of effort, you can improve your business’ search engine ranking to where you proudly site at the top of the page.